In 2001 I created a Freshman Seminar class at the University of Minnesota entitled: “Everything I Know About Science I Learned from Reading Comic Books.” This is a real physics class, that covers topics from Isaac Newton to the transistor, but there’s not an inclined plane or pulley in sight. Rather, ALL the examples come from superhero comic books, and as much as possible, those cases where the superheroes get their physics right! The rather curiously titled lecture comes about because Entropy is often accused of being the origin of disorder in the Universe and “Phoenix Wright” is a fictional lawyer who often has to deal with “hopeless” cases as Fabien explained. His talk was an enlightening example of bringing to light a difficult subject whereby the mysterious entity “Entropy” was explained lucidly with many informative slides and videos. The talk was followed by a question and answer session. If members of the audience would like to ask further questions (or even if you were not there ! ), then please head to our blog post. The main table of the Complete University Guide 2017 ranks 127 higher education institutions on ten measures: Student Satisfaction, Research Quality, Research Intensity, Entry Standards, Student: Staff Ratio; Spending on Academic Services; Spending on Student Facilities; Good Honours degrees achieved; Graduate Prospects and Completion. Thanks to the Santander International Exchange Bursary I could spend 3 weeks in Barcelona under the supervision of Prof. Ignacio Pagonabarraga at the Universitat de Barcelona. My trip begun on the Monday 25th of January and ended on the 12th of February. During this time I was able to discuss with Prof. Pagonabarraga many interesting physical aspects to be included in my PhD. After a first week in which we mostly reviewed the work that I had done and we attempted to improve our understanding of the model and simulations of systems of nanoparticles and diblock copolymer, we were able to move forward to consider new physical properties to be studied. It was particularly interesting to possibility to make the colloids to be active brownian particles. 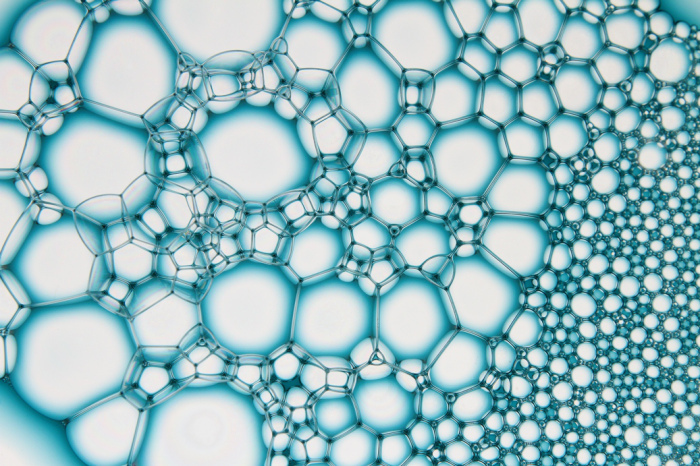 Behind the apparent randomness of the foam on your bath, in your washing machine, or in your glass, are strict geometrical rules that dictate the arrangements of bubbles and soap films. 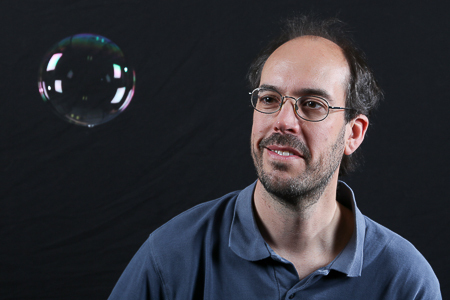 From minimal surfaces to varicose veins, this talk will explain how mathematics contributes to the many uses of foams. 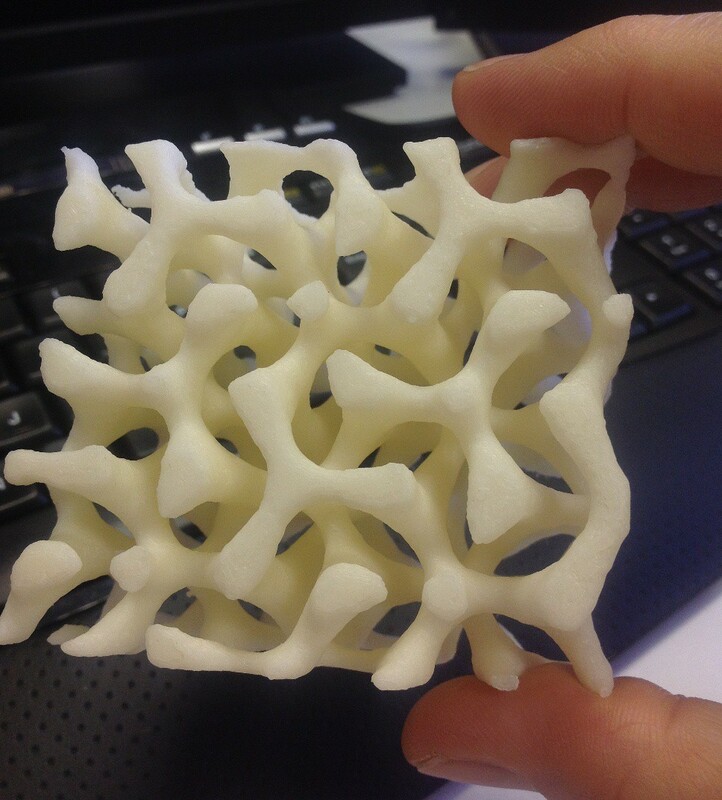 A wonderful structure produced with modern technology of 3D printing arrived today by post. 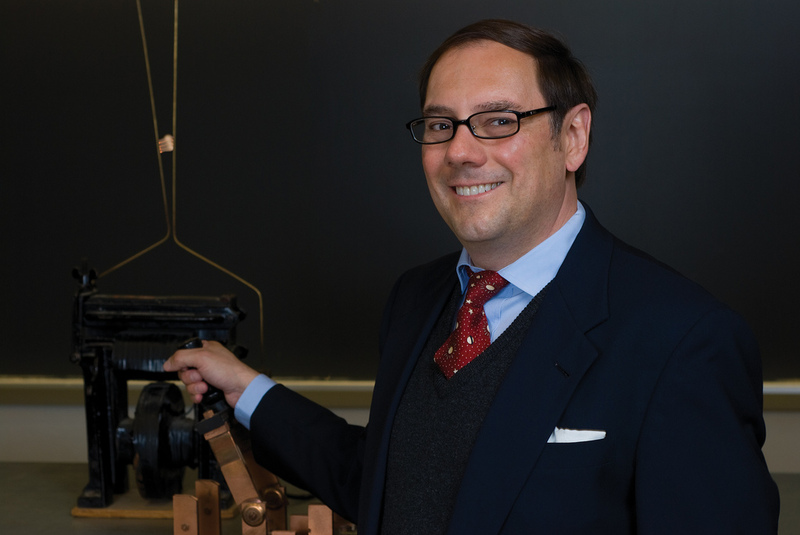 The 3D print was produced in the group of Dr. C. Heath Turner, Associate Professor at the Department of Chemical and Biological Engineering, the University of Alabama, USA. The structure represents an approximatelly one hundred thousand times magnified nano-structure of block copolymers under electric field and was first obtained by computer simulation in the group of Andrei Zvelindovsky in collaboration with scientists from Japan (Ly D.Q., Honda T., Kawakatsu T., Zvelindovsky A.V. “Kinetic pathway of gyroid-to-cylinder transition in diblock copolymer melt under electric field” Macromolecules 40 (2007) 2928-2935). 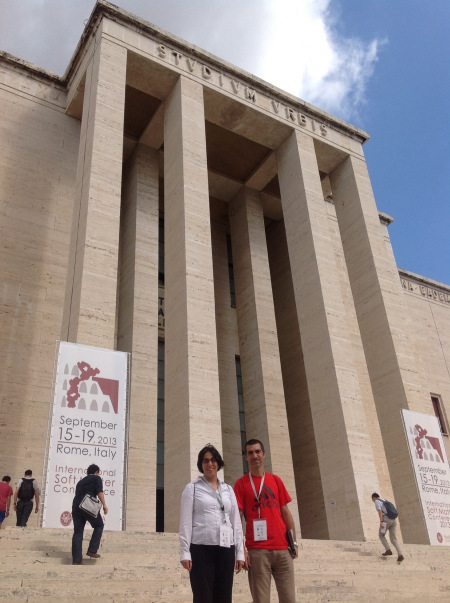 On 15-19 September 2013 Manuela, Marco, and Andrei participated in the worlds largest International Soft Matter Conference 2013 held at Sapienza University of Rome. The conference was the 3rd of its kind, which takes place every 3 years. It covered topics of Biological Soft Matter, Colloids, Dynamics of complex fluids, Membranes, Polymers, Self-assembly, Surfaces and interfaces, and Soft Nanotechnology.